Cheboygan Kilwin's Store is located inside Dar's Hallmark, one of Northern Michigan's largest Gold Crown Stores. We've been serving beautiful Northern Michigan for 20 years. 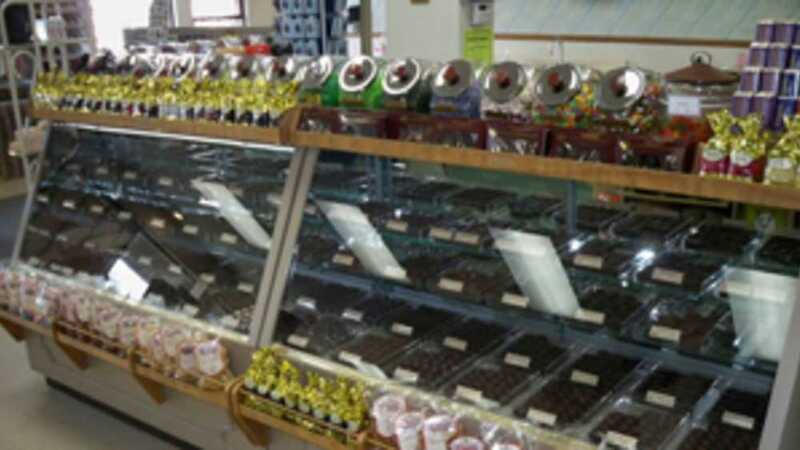 Enjoy our delicious handmade Kilwin's chocolates, ice cream, fudge and handipped caramel apples. You'll be glad you stopped in. We're located in Plaza 27 across the street from the Cheboygan River, the beginning of the Inland Waterway which connects Lake Huron with 40 miles of beautiful pristine lakes and rivers. We're here to serve you seven days a week.